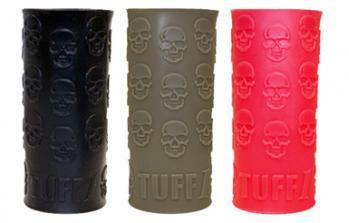 Tuff1's Death Grip Cover looks menancing while providing a smooth, comfortable grip. Because Tuff1 grip covers are made of an extremely thin, proprietary material, you get solid, slip-free handling without adding measurable dimension to the grip of your firearm. Whether you're shooting at the range or under adverse condications, Tuff1 grip covers give you the advantage of improved accuracy and control. All Tuff1 grip covers are proudly made in the USA.